A group of community members, local advocates, business people and city employees attended a meet-and-greet Monday afternoon to chat with the three finalists for city manager and provided written feedback that will be reviewed by the City Commission. Finalists Jesus A. Garza, Kingsville city manager; Juan Guerra, Pharr city manager; and Noel Bernal, deputy city manager in Coppell, Texas, spent two hours mingling with community members and answering questions. Each candidate also briefly spoke with The Brownsville Herald and explained why they want to be city manager. Garza said he wouldn’t be the man he is today without growing up in Brownsville, which motivated him to apply for the job. “ It’s not every day that somebody gets a chance to go back to their hometown and give back in a way that I potentially could, and for me, that’s a big driving factor,” Garza said. 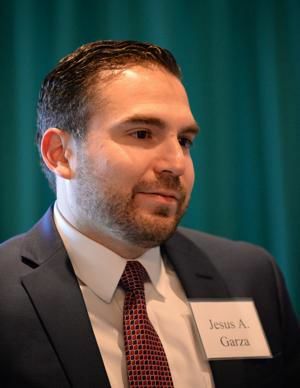 While there’s positive movement in terms of quality of life, growth, infrastructure and housing, Garza believes he could help Brownsville continue it, but he said there seems to be a sentiment that Brownsville is behind in its potential when compared to cities of similar size. 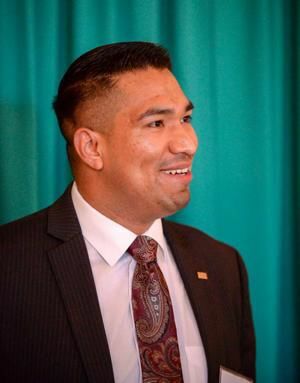 Garza said his experience in working for cities of varying sizes, large, like San Antonio, and small, like Van Ormy, gives him the skill set to continue pushing Brownsville in a positive direction. Guerra, the Pharr city manager, said he’s always wanted to live in Brownsville. “ It’s very beautiful. You have the resacas. You have the zoo. You have a lot of things as far as assets that makes Brownsville an attractive place,” Guerra said. Guerra said Brownsville is one of the premier cities in all of Texas. Bernal, the deputy city manager in Coppell, said he believes the City of Brownsville is at a crossroads. 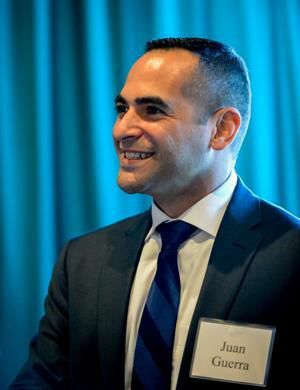 “ But what I hope to change, to help change, and not for change’s sake, is a community-oriented facet, really leveraging that potential,” Bernal said. Bernal also said that Brownsville needs to start planning for where it will be in 15 to 20 years and should plan for future land use in growing areas, adding that many cities sprawl in a financially unsustainable way. “ So I think there’s a fiscal component to planning and development that Brownsville can today incorporate into its planning so in the future it can be successful,” Bernal said. And integral part of that planning and development should include the community, Bernal said. “ You have to involve the community. It takes time,” Bernal said, describing community involvement as an art form more than a science. He believes that the City of Brownsville has to create a plan for the future and that residents need to be included in the formation of that plan. “ You have to involve the people and that’s something I naturally understand and naturally commit to that,” Bernal said. Among the attendees Monday evening was Edgar Gaucin, chairman of the Brownsville Bicycle and Pedestrian Advisory Committee. He was in attendance to advocate for bicycle and pedestrian infrastructure and updated each candidate on that organization’s hike-and-bike master plan, as well as imparting to them that bike trials are not only a form of recreation, but they are also a form of transportation. Joe Lee Rubio said he attended the function because he’s interested in who will be the next city manager.